Online scammers, telephone shysters, and yes, family members steal $37 billion a year from America’s elderly, and it’s only going to get worse. Think you’re too smart to fall for a scam? A new study says 1 in 18 “cognitively intact” older adults is taken in by financial fraud or abuse in any given year. Declining cognition is responsible for a 33 percent increase in susceptibility to a scam, but healthy adults are often victims, says Patricia Boyle, a professor of behavioral sciences at Rush University of Medicine. "Many of the victims of financial fraud are not demented or disabled," Boyle says. "Yet for some reason they're still vulnerable—and we're not sure why that is." Research studies, such as one at Texas Tech University, indicate that fluid intelligence, the ability to think logically and process new information, decreases with age. This cognitive decline occurs at the rate of about 2 percent per year after age 55. Someone who’s 95, for example, would have half the capacity they did at the age of 65. Women over the age of 80 are scammers’ most common prey. Baby Boomers have trillions of dollars in personal assets just waiting to be stolen. The greedy, the desperate and the drug-addicted, among others, work to move money out of the older adult’s account and into their own. As America’s population ages and the wealthy get richer, thieves take an estimated $37 billion from seniors annually. They’re following the money trail, says North American Securities Administrators Association President Mike Rothman. 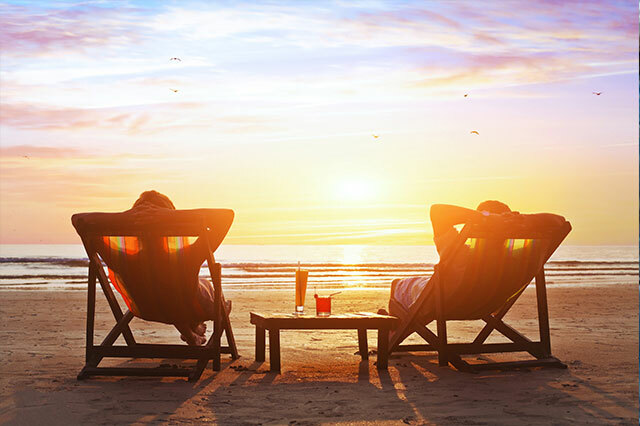 "This population that's retiring is one of the wealthiest, if not the wealthiest generation, in terms of their retirement savings," said Rothman, who is also the Minnesota commissioner of commerce. "Criminals know this as well." 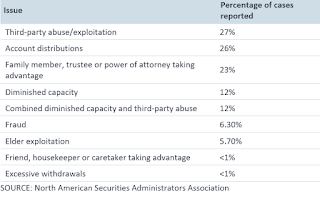 In fact, financial abuse of seniors may be grossly underreported. Many victims are too embarrassed, confused or fearful to tell authorities about the crime. A recent study reported by Consumers Digest estimates that government officials only find out about 1 in 25 cases. And a 2016 study by New York State’s Office of Children and Family Services reports that losses from elder fraud in New York alone could top $1.5 billion if they were all on the books. Are You a Target for Abuse? Often, the nicest people make the easiest targets. Fraudsters called Marjorie Jones to tell her she’d won a sweepstakes, and just needed to pay taxes and fees to collect her prize. Jones, legally blind and living alone, eventually paid out hundreds of thousands of dollars and took out a reverse mortgage as fraudsters strung her along. The 82-year-old had always been financially independent. When she had to borrow money from her family to survive, she committed suicide rather than admit she’d been duped. Even her sister next door had no idea what had been happening. 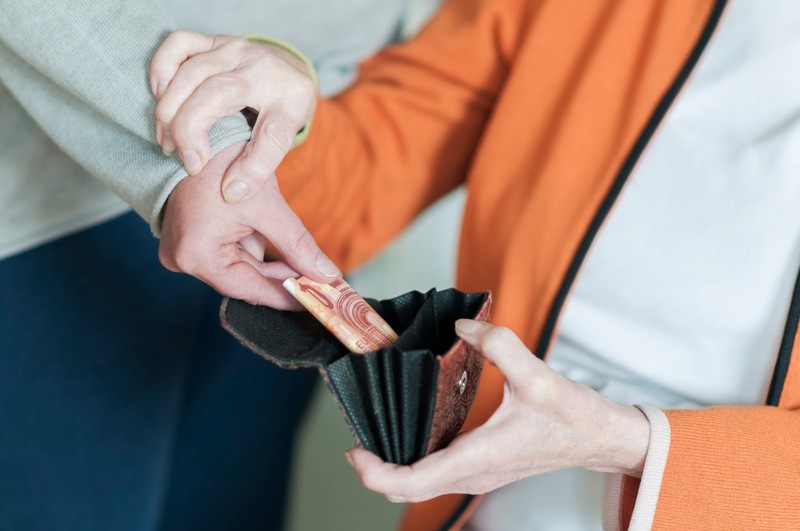 Easy targets for financial abuse can be identified, thanks to a recent study by the American Association of Retired Persons (AARP). Generally speaking, the most vulnerable seniors expect others to be honest, are not as likely to take action if they get defrauded and have a limited knowledge of their rights. Retired folks are more likely to be at home during the day and available when a solicitor or telephone scam artist makes their move. They are more at risk if they’re isolated, lonely, have recently lost a spouse, are unfamiliar with handling financial matters, or are physically or mentally disabled. Anyone can be scammed, but there are a few things you can do to protect yourself. On the computer, be wary of clicking a link from anyone you don’t know. If you posted on Facebook or Twitter that you’re headed to Disneyland, a scammer can email that he went last month and here’s the best way to avoid lines, accompanied by a link loaded with malware. Noon on Thursday is the most common day and time for sending malicious emails. Avoid posting your date of birth online. If you do post a birthday, make sure it’s not the right one. Scammers who know what town you live in and your birthday can figure out your social security number. Don’t accept invitations to be friends from people you don’t know. Make sure your computer is protected against malware. Seniors aging in place shouldn’t answer the door for strangers. If you pick up the phone, particularly a landline, hang up if the caller plies you with a free offer, especially if you need to make a payment before you can get the prize. Beware of an offer that’s too good to be true, such as $100 for taking a survey. In fact, a 2016 report by the Centers for Disease Control and Prevention (CDC) relied on groundbreaking research done two decades earlier by Mark Lachs to highlight elder exploitation as a public health problem. Lachs, currently co-chief of the Division of Geriatrics and Palliative Medicine at Weil Cornell Medicine and New York-Presbyterian Hospital, says victims of elder abuse (including financial exploitation) are three times as likely to die as those who aren’t abused. In 2014, an assistant manager at a local bank became friends with a couple in their 80s and then stole $100,000 from them. To hide her misdeed, the banker said that the husband, who had been diagnosed with Alzheimer’s at age 85, gave her the money. This lie created mistrust and misunderstanding between the couple in their last years together. The wife died in 2016 after becoming bedridden, and her husband followed the next year, only weeks before the banker was sentenced to 10 months in jail. In many cases, such as the one above, it may seem like the victim gave consent. But that’s often a result of deception or manipulation. Victims of financial exploitation are “usually emotionally devastated as a result of having been betrayed,” says Page Ulrey, a senior deputy prosecutor at the King County prosecutor’s office in Seattle working in the elder abuse unit. Financial fraud is “a huge problem in the sense that it’s so profoundly destructive,” she says. Victims rarely get their money back. Seniors may be aware of scams that come from outside the family, but what happens when it’s a relative who’s dipping into assets? Many families won’t intervene when it’s a relative, sometimes because they don’t want to believe it, or so their dirty laundry stays in the basket. The family member who’s stealing may threaten the older adult, especially if she’s in any way dependent on him for care or has a cognitive disability. 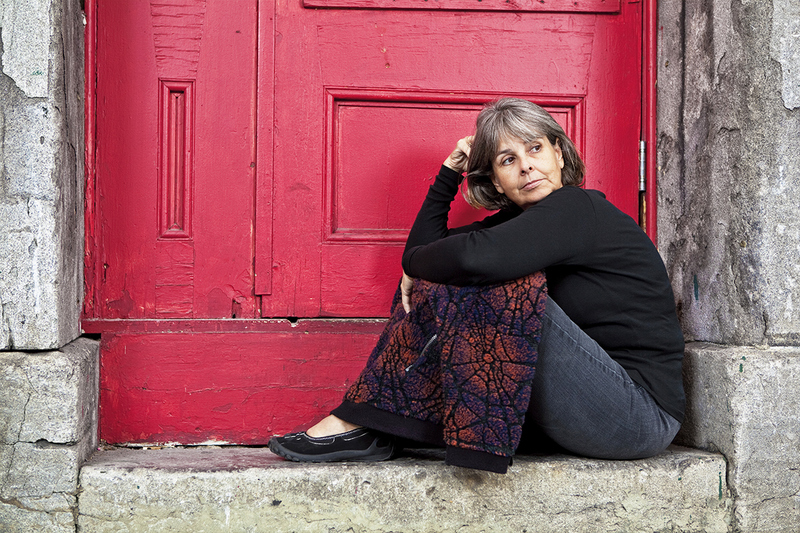 Attorney Carolyn Rosenblatt says that most financial elder abusers are family members. But if another family member finds out, they often won’t report it because they “don’t want to make trouble” for their relative. However, any abuse should be reported. If a situation is serious, threatening or dangerous, call 911 or your local police to intervene. Otherwise, most states allow you to make a report of abuse confidentially. The first step is to call the Elder Abuse Hotline or find state-specific information at 800-677-1116. No matter who is initiating elder financial abuse, the only way to stop it is to report it. 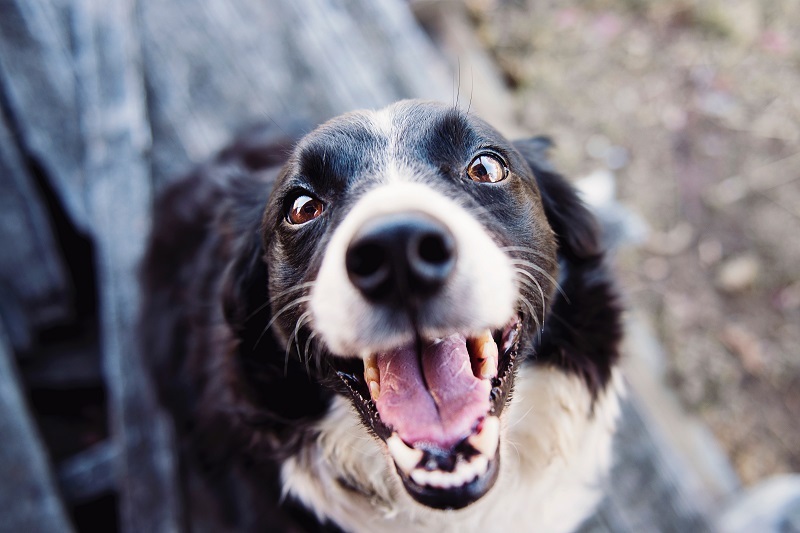 Could a Pet Help You Live Better? Is it wise to add a pet to your life just when you’re finally free of obligations? Studies show pet owners benefit, but make sure your pet fits your lifestyle. Having a pet can reduce stress, lower blood pressure, increase your social interactions and help you learn. Those are a few of the findings from many recent studies on the interactions between pets and older adults. In fact, a doctor in London has been prescribing animal sessions instead of pills for some of his patients. A general practitioner, Dr. Dirk Pilat refers patients to a team of two guinea pigs, a hen and a pair of rabbits for cuddle therapy. The animals are owned by Ione Maria Rojas, who was inspired by watching her grandfather struggle with dementia. The project strives to achieve “non-verbal communication and authentic connection” in older people. "Dogs and other pets live very much in the here and now. They don't worry about tomorrow. And tomorrow can be very scary for an older person. By having an animal with that sense of now, it tends to rub off on people," says Dr. Jay P. Granat, a New Jersey psychotherapist. That may be why pets are so good at improving the general population’s blood pressure. In an Australian study involving 5,741 people, pet owners had significantly lower resting systolic blood pressure and lower cholesterol. Pets can also help people with diagnosed high blood pressure. In one study of hypertensive subjects, all of the participants were exposed to the stress of solving a math problem and giving a speech. Then, half of the subjects were instructed to get a pet. Six months later, the entire cohort was retested. Those who now had a pet showed significantly lower increases in blood pressure during the stressors compared to those with no pet. Another study showed that the mere presence of a dog in the room while participants gave a speech alleviated the increase in blood pressure. Dog owners get an added health benefit from walking their pet. A study of adults age 50 and over concluded that dog owners had the greatest health benefit among pet owners. Their body mass index was lower than others, they had fewer diagnoses of chronic and acute illness, and their lifestyles were generally healthier than those of other participants. Animal shelters across the country have dogs of all ages and temperaments looking for a good home. A shelter offers many benefits. Employees have observed and worked with the dog daily, so they know if it walks on a loose lead, requires a lot of exercise, is timid or bold, and gets along well with other animals. Shelter dogs are usually vaccinated and spayed or neutered before being put up for adoption. Some also come with a short guarantee of good health, so if your dog comes down with kennel cough, you can take him to a vet at the facility for free medication. If you don’t want a long commitment or the spunkiness of youth, take advantage of a growing trend in the shelter community and pair up with an older animal. Mellow, older and wiser dogs and cats have the advantage of being housebroken or litter trained. Sure, they may need some extra vet visits or care for a chronic condition, but no one understands that better than older owners. Take a look at San Francisco-based Muttville’s Seniors For Seniors program. People age 62 and above can find their next canine buddy while skipping the usual adoption fee. And if adoption isn’t an option, you might want to consider their cuddle club, where senior volunteers sweet-talk, pet, and yes, cuddle up with older adoptable animals. Many shelters across the country offer similar programs, so be sure to ask if there’s a special if you adopt an older animal. Some facilities may even provide support if you need to change your living situation unexpectedly. Call your local animal shelter(s) to begin looking for a suitable companion, or go online to view photos and descriptions of available animals. If you would like to expand your search, Petfinder lists a quarter million animals that need homes across the country. Maddie’s Fund at Petfinder addresses the many issues older adults might have about animal adoption. The campaign works to pair older dogs with older people, offering half off the adoption fee, pet care if the senior must spend time in a hospital or nursing home, free transportation to a veterinarian or groomer, and more! Another way to look for an animal is with a breed rescue. Rescues are usually private organizations that rehome dogs (although you may also find one for cat breeds) of a certain breed that have been relinquished by their previous owner. People at the organization are familiar with the individual dog and very knowledgeable about breed characteristics. PetSmart is a retailer committed to finding homes for shelter animals. In fact, customers at PetSmart stores nationwide adopt an average of 1,300 animals every single day. PetSmart refuses to sell “puppy mill” animals that are confined and bred continually for profit, instead offering an opportunity for dogs and cats from local shelters to meet patrons, and often, steal their heart in the process and find a new home. "Older pet owners have often told us how incredibly barren and lonely their lives were without their pet's companionship, even when there were some downsides to owning an active pet," says Linda Anderson, who founded the Angel Animals Network in Minneapolis with her husband Allen. In fact, studies show positive benefits from a variety of animal associations, from older men in a veterans hospital who were exposed to an aviary containing songbirds, to seniors aging in place with a dog or cat. Research proves that pets improve your mood by increasing the level of the hormone oxytocin. “This is very beneficial for us,” says Rebecca Johnson, a nurse who leads the Research Center for Human/Animal Interaction at the University of Missouri College of Veterinary Medicine. “Oxytocin helps us feel happy and trusting,” she adds, which may help humans to bond with an animal over time. The hormone may have other benefits. "Oxytocin has some powerful effects for us in the body's ability to be in a state of readiness to heal, and also to grow new cells,” Johnson adds, “so it predisposes us to an environment in our own bodies where we can be healthier." Dr. William Banks of St. Louis University studied nursing home patients who spent time with a dog to see if it would encourage them to socialize and reduce loneliness. His team was surprised to find that in fact, residents who spent alone time with man’s best friend actually benefitted most. "If I saw you walking down the street, I couldn't comfortably start talking to you if I didn't know you, but I could if you had a dog," says Alan Beck, ScD, director of the Center for the Human-Animal Bond at Purdue University. "It's an acceptable interaction that otherwise wouldn't be possible." And who hasn’t started a conversation with the funny thing her cat did this morning? Even posting the antics of your pet online fosters responses. People who use wheelchairs say that other people make eye contact with them more often and ask if they can be of help when they're with their dogs, Beck says. One study demonstrated that people in wheelchairs got more smiles and chatted more with passersby when they were accompanied by a dog. Proximity to an animal can stimulate memories that were previously trapped. "I've seen those with memory loss interact and access memories from long ago," says psychologist Penny B. Connenfeld, who brings her golden retriever mix, Sandee, to work in her New York City office. "Having a pet helps the senior focus on something other than physical problems and negative preoccupations about loss or aging." Alzheimer’s disease patients can take advantage of one of several canine caregiver programs. A service dog can help dementia patients with daily tasks by fetching medication, reminding them to eat or guiding them home if they’ve wandered away. Studies show that animals reduce the number and severity of behavioral issues in people with dementia by boosting moods and increasing their caloric intake. Many older adults live with chronic pain, but an animal can help take some of it away. In a study of fibromyalgia patients, 34 percent reported pain relief, a better mood and less fatigue after a 10-minute visit with a therapy dog compared to only 4 percent of those who sat in a waiting room without a dog. Acute pain is also affected by the presence of an animal. One study showed that patients who underwent a total joint replacement needed 28 percent less pain medication if a therapy dog made daily visits to their room. To explore the possibility that animals might produce physical benefits in older adults with dementia, one trial used fish. The study showed that individuals in several nursing homes gained weight after fish tanks were installed. The control group could view an underwater scene without live animals. Having an aquarium, or just a goldfish in a large bowl, can help with insomnia and conveys most of the benefits listed above, including anxiety reduction and lowered blood pressure. Staring at an aquarium reduces muscle tension and pulse rate. Guinea pigs, chickens, snakes, pigs and ponies can all have service animal credentials. Some of these may be suitable for seniors aging in place. Any animal with which the senior has a connection will confer benefits. Actually, there is one big one. Thousands of people go to the emergency room every year because their pet has caused them to fall. Often, a pet owner has tripped over their dog or cat, but a fall can also occur when a food bowl is placed on the ground, or during play activity. Women are more likely to fall than men, but perhaps because more women own pets. One prevention strategy for dog owners is to get obedience training for your furry friend. Cats can scratch, and dog owners have to be aware not only of their own safety, but liability in case their dog damages property or bites someone. Almost anyone can set up a goldfish aquarium in their home, since goldfish don’t need an aerator and the warm temperatures of most senior living situations will suit them fine. But pets such as dogs and cats require some hard thinking about whether or not you’re ready for the commitment they require. Have you owned a pet before? If so, you know about how much time they need for play and exercise, on top of feeding and cleaning up. If not, talk to several people who are current or past pet owners. Dogs, in particular, need a lot of time with you and may require obedience training. Does the pet’s energy level match yours? A puppy may not be the right choice for elderly owners. Neither would a very active breed of adult dog. But shelters often have older animals longing for a quiet, loving home. Likewise, if you’re not ready for a kitten hanging off your drapes, consider an older cat that will act more sedate. Can you afford a pet? Dogs can cost thousands of dollars by the time you add up vet visits, cushions and other paraphernalia. If it’s one you’ll have groomed, factor in the cost. Cats are usually cheaper, and a guinea pig or fish can be quite economic. Also keep in mind that senior living communities may charge a pet fee of hundreds of dollars, and perhaps a monthly fee as well. Whatever kind of pet you want, make sure that buying and caring for it won’t strain your budget. Will you be gone a lot? If you’re more into travel than being a homebody, it may not be the time of your life for pet ownership. A tank of fish will probably do fine while you’re in Europe, but unless you can afford to send Rover to the doggie play center or to a consistent caregiver, think hard and long about getting a dog. Cats don’t need as much attention as a dog (although many cat owners might argue) but they look to you for companionship and entertainment. If you’ll be travelling much, consider becoming a foster parent at your local shelter instead of an owner. Commitments are shorter, and you can choose when you’ll have an animal. Within America’s suicide epidemic, the rate among older adults is outpacing other age groups and the outlook is bleak. The recent deaths of celebrities Kate Spade and Anthony Bourdain were shocking to many. How could two adults who had achieved fame and financial success possibly want to take their own life? But delve into the numbers and you’ll find that depression, from which both suffered, is an equal opportunity problem, and suicide among seniors is more common than most people think. Seniors commit suicide at an alarming rate. According to the Centers for Disease Control and Prevention (CDC), the suicide rate among Americans 65 and over is 15 out of 100,000, while that number drops to 12 out of 100,000 for all ages combined. Those age 85 and older have the highest suicide rate among adults. Today’s older adults grew up in an era when mental health services were associated with weakness. Asylums were standard places to send people with mental illness, and lobotomies were a legitimate treatment. Not only do seniors want to avoid being judged by their own community, but they may also be hard on themselves and fail to seek treatment for depression. Stigmatization around mental health services can also lead to poor adherence to medication and treatment, even after help is sought. The numbers help tell the story. Up to a quarter of older adults need some form of mental health care, but Medicare reimbursement for psychiatric treatment is only given to 3 percent of this population. The services are simply not meeting the need. Researchers point to the need for better palliative care for older adults suffering from chronic pain. Longer life expectancies have not been accompanied by more pain-free years. Instead, debilitating and painful health conditions go hand-in-hand with old age more often than we would wish. Some people struggle with depression throughout their lives, but it can become worse as they age. Physical illness exacerbates depression, as does the fear of becoming a burden, social disconnection and an inability to function in daily life. Suicide notes among adults age 65 and over most commonly mention the unbearable pain of cancer, arthritis or other conditions, according to an analysis of 10 years of data by Dr. Diana M. DiNitto and Dr. Namkee G. Choi. The pair also found references to cognitive and/or functional decline, loss of independence and fear of or refusal to enter a nursing home influenced the decision. Nearly a quarter of these seniors had told someone about their intent, most often a family member. “It is the combination of one or several of these problems with depression that leads the person to feel trapped, making suicide appear like the best solution,” says Dr. Alexandre Dombrovski, a psychiatrist at the University of Pittsburgh. He notes that alcohol or prescription drug abuse, family discord, financial problems, grief or a recent medical diagnosis can all factor in to an older adult’s decision. A recent study found that older adults in general, and men in particular, regard suicide as an acceptable solution to physical illness. Men over 65 commit suicide more often than their female counterparts. Becoming the victim of a financial scam can also cause someone to commit suicide. The shame and embarrassment can be too much to handle. The stories are variations on a theme: the 82-year-old grandmother who was told she’d won a sweepstakes, the 77-year-old who became convinced his grandson had been kidnapped, the 81-year-old man who was promised a $3 million lottery jackpot. All of them got strung along, wound up feeling “like a fool” and chose to die. Seniors from all walks of life and racial groups commit suicide. Native Americans and Alaskan Natives run the highest risk, followed by Caucasians, Hispanics and African Americans. Recent events tell us that having plenty of money offers no guarantee. So what can we do? Ask someone you suspect is depressed if she’s having suicidal thoughts. This helps the person talk about their pain and bring it out in the open. Avoid looking shocked if someone tells you he feels suicidal. A stunned reaction may cause him to shut down. Don’t offer platitudes or say “It will get better.” Listen, tell her you understand and offer concrete hope about help that’s available. Leave the morality lesson behind. Ditto regarding the value of life. Gently refuse a request to be sworn to secrecy. Seek support and help from agencies that specialize in crisis prevention. Seek support from loving family members, friends, health care personnel or clergy. Offer hope that alternatives are available without minimizing the problem or the person’s feelings. Take action. Remove firearms, excess medication and anything that you think may help them carry out the act. Never leave an actively suicidal person alone, unless you have to run to get help. When in doubt, call 911. The National Suicide Prevention Lifeline is 1-800-273-8255; it’s available 24/7. You’ve considered all the angles around when to take away the car keys. But have you considered where the line might be for taking away the guns? A retired police officer had a lifetime habit of sleeping with his .38 service revolver next to his bed. But as his cognition receded in his late 70s, he would awaken and think his wife was a stranger. One night, he woke up and pointed the loaded weapon at her. His doctor learned what had happened and knew he had to act fast. He put in a call to the man’s former police partner, someone the man knew and trusted, to convince him it was time to give up the gun. Fortunately, the story ended well. The connection to guns can be quite strong for older adults. Even after dementia develops, giving up their weapons can feel “almost like an amputation,” says, Dr. Michael Victoroff, a family medicine specialist at the University of Colorado School of Medicine and certified firearms instructor. Suicide plays a big role in the gun debate with older adults. Older Americans are more likely to die by their own hand than any other age group, and the majority of these suicides involve a gun. Older people make fewer suicide attempts than their younger counterparts, but they die more often. The reason: 4 out of 5 attempts carried out with a firearm result in death. Seniors use guns in 32 percent of attempts to take their life, and they account for 70 percent of fatalities. Looking at all age groups together, firearms are used in only 6 percent of all suicide attempts, but result in 54 percent of total fatalities. A drug overdose is only lethal 12 percent of the time, but attempt suicide with a firearm, and that “success” number jumps to 82.5 percent. Conwell’s research shows that depression, psychiatric disease and physical illness are the most common risk factors for late-life suicide attempts. Chronic and severe pain, especially when it prevents someone from living an independent life, can also lead to thoughts of self-harm. Nearly a third of Americans above the age of 65 own a gun, and another 12 percent live with somebody who does, according to the Pew Research Center. At the same time, more and more Americans are joining the “over 65” club. While the dementia rate is declining, sheer numbers of older adults mean more people will develop cognition problems. Older white men account for 88 percent of suicides by gun among seniors. Females over 65 account for 8 percent of suicides by firearm, and that number falls to only 2 percent among older black men. Why? One reason is that the typical gun owner in the U.S. is overwhelmingly white, male and above 50 years old. One study showed that handgun access was a much greater predictor of attempted suicide than having a long gun, such as a rifle. Of course, barriers to access can save lives. Dr. Liza Gold, a clinical professor of psychiatry at the Georgetown University School of Medicine, studies suicide among seniors. Her research shows that suicide rates are reduced by 10 percent if the gun in the house isn’t loaded, another 10 percent if it’s also locked, and an additional 10 percent when the ammunition is locked up away from the firearm. 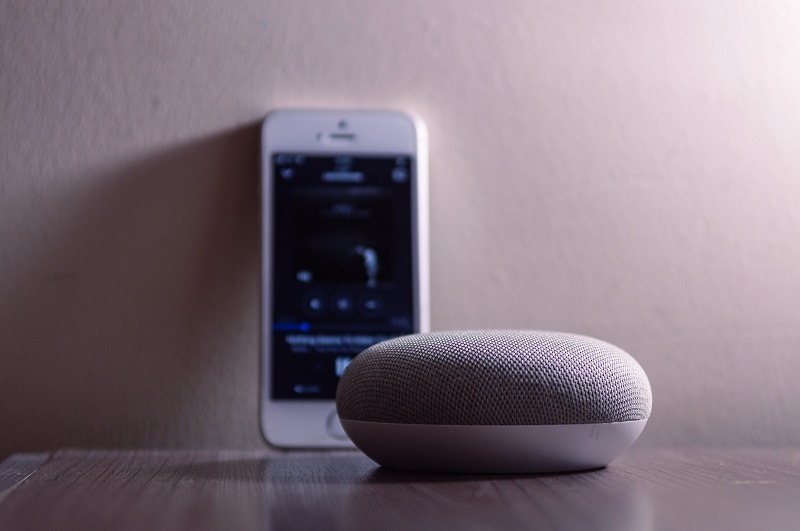 Why smart speakers (digital assistants) are a great choice for older adults, and how to choose which one is right for you. These handy devices can do everything from telling you the time to answering how much an elephant weighs. For anyone with mobility issues, it’s the personal help they need … to add an event to the calendar, be reminded who has a birthday coming up, or listen to music, audiobooks or the news, all just by asking. Older adults with health issues like Parkinson’s can have more independence by using a smart speaker. Alexa can add toilet paper to the shopping list or play a favorite Frank Sinatra song. While using a touchscreen may be impossible or too complicated for someone with reduced cognition to learn, voice control is relatively easy. People with low vision benefit from using digital assistants. See how in this YouTube video: Blind Joy demonstrates how she uses Amazon Echo. People with dementia often repeat questions endlessly, get anxious when someone leaves their side or need to be constantly entertained. But ask Amazon’s Alexa what day it is, and she’ll respond over and over and over, each time as patiently as the last. She can also check what’s on TV, give updated traffic and weather reports, or amuse someone with endless jokes and riddles. Early Onset Alzheimer’s struck Rick Phelps in November 2010. He subsequently founded a private Facebook community, Memory People, to promote dementia awareness. In early 2016, Phelps bought an Amazon Echo. A week later, he was so enthusiastic about the experience that he wrote a blog post urging others in the dementia community to buy one. Phelps goes on to marvel that after telling Alexa once to remind him to take medicine at 8 a.m. and 8 p.m., she reminds him without fail at those times every day. Another service he finds invaluable is Alexa reading audiobooks. “That alone makes this thing worth its weight in gold to me,” he says. All of us can benefit from telling the speaker where we are stashing our passport or an important document! Forget where you put it later on, and instead of searching frantically all you have to do is ask Alexa to remind you where it is. How Do Smart Speakers Work? Voice-activated assistants like Amazon Echo or Google Home work wirelessly with a Wi-Fi connection, just like a laptop or tablet. Each device is about the size of a can of soda. Users need an account with Amazon or Google and a smartphone or tablet to get started. Just download the app (Google Home or Alexa) and follow the instructions to connect to Wi-Fi. To use your new assistant, wake it up by saying “Alexa” for the Amazon Echo or “OK Google” for the Google Home. Then, you can ask questions or give it a command. A female voice responds to your instructions. Are the grandkids over after school? Your smart speakers can offer a chocolate cake recipe with instructions for each step, help answer questions for a homework assignment or translate into another language. The voice assistants can distinguish between different voices, so your calendars and medication prods won’t get mixed up. Playlists of music stay separate, too. You can find a song even if you don’t know the name … just tell your smart speaker some of the lyrics and it will find the song for you. If your house has smart home features, you can use your smart speaker to turn on the oven at a certain time or run the sprinklers. Amazon Echo ($99) was awarded “best voice assistant” on com for its proficient artificial intelligence on a wide array of questions and task performance. In follow-up mode, Alexa can take multiple commands without being reactivated or woken up. Alexa lets you stream music, reserve an Uber or move through a guided yoga session. Amazon allows developers to create additional services (much like new apps for your phone), and Alexa has more than 30,000 “skills” to suit your needs. She also has the best compatibility with smart-home systems, and is a breeze to buy online. Her close relationship with Amazon means you can ask her about exclusive deals, too! To learn more about the Echo, including a review and demonstration, watch this video. Google Home Max ($129) earned runner-up status for superior ability to answer questions, performing best on a test of 4,000 questions. Google Assistant can also follow two commands at the same time. Google bows to Alexa on voice apps and smart-device capability, but it’s catching up. For instance, it will string together several actions with one command. You can say, “OK Google, good morning,” and it will turn on your lights, tell you the weather and stream music. As part of the Google family, it will work with Chromecast and play YouTube videos. Apple HomePod ($349.99) will please the many dedicated Apple fans who love Siri, which works seamlessly with HomeKit, Apple’s home automation service. Activating an automation feature is as simple as giving a normal command, and the feature joins the HomePod automatically during setup. Apple users will appreciate how the ecosystem excels at leveraging strength among all products; they work better together. The speakers on HomePod are the best in the bunch, and Siri shines over the competition in her ability to understand more than 20 languages, compared to Google and Alexa’s measly eight. The HomePod currently only supports English, but Siri’s capabilities on the iPhone may convince buyers to opt for the Apple experience. Scroll to the bottom of this page for information about how to choose a voice assistant, and for information about other assistants, such as Cortana and Bixby. The Freebird travel club offers social interaction with an AirBnB vibe in worldwide destinations while remaining friendly to your wallet… or even fattening it. Irishman Owen Mangan, a widower in his 70s, loved welcoming guests to his son’s AirBnB-style rental in southwest Ireland. He was happy to show guests around and act as a guide. For the first time since his wife died, he didn’t feel bored. Seniors are more likely to be empty-nesters with unused rooms available at home. They’re also more likely to be free to travel, free of the ties of children, jobs and mortgages. It’s possible they feel intimidated by travel to unfamiliar places, and lack the funds to pay for fancy hotels. Peter got stellar online reviews on his property, raving about the personal treatment Owen provided. Peter began to research the older adult population during three months of unpaid leave from his job, and soon discovered that they often feel lonely and isolated, longing for the sort of connection his father was providing. The Freebird Club was soon born. Billing itself as “a social and travel club for over 50s”, club members may offer a room in their home for guests or travel to a host’s house. A wide list of countries is available, including the Bahamas, Brazil, Australia and Costa Rica. The website is user-friendly, but club members can opt to make a reservation by phone. I know what you’re thinking: How much is the membership fee? Hold on to your knickers…. It’s going to set you back a whopping $31. That’s right, about the same as a tank of gas. The fee confirms you’re not just an online lurker. What about safety and security? To join, you must upload a driver’s license or passport to confirm your name and age (which are deleted when your identity is verified). Then, you’ll fill in a personal profile telling a little about your interests, and how much you’d like to interact. You can opt to play tour guide and share a meal, or just greet guests and offer suggestions over coffee or a glass of wine. Guests can indicate their preference, too. Before final approval, a Freebird staffer does a phone or Skype interview and you can get started. Peter knows older adults don’t check their email five times an hour, so texts are used to alert a host when someone requests a homestay. Finally, guests and hosts are welcome to use an optional buddy system to ensure safety. Just list a friend or family member to give them limited access to your account, and they’ll receive a notification when you book a trip or host a member. That way, someone else always knows where you’ll be or who’s visiting. Start planning that trip to visit Luisa in her lakeside chateau in Switzerland… it’s booking fast! Cray’s father was stationed at Fort Benning when his son was born in Columbus, Georgia. The family settled in Tacoma, WA when Cray was a teenager. He began dreaming of becoming a musician, and by the age of 20 he’d seen several of his heroes, including the legendary Muddy Waters, in concert. Cray formed a band and played college towns on the West Coast, refining his own bluesy style. 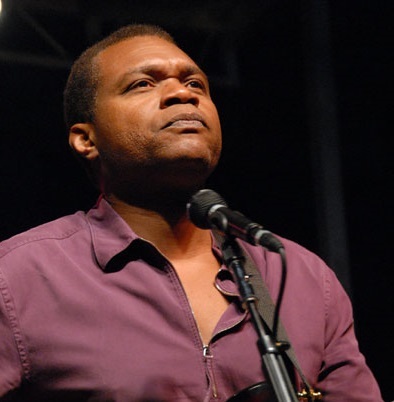 Eventually, he formed the Robert Cray Band and made a name for himself. He was the bassist in 1978 film National Lampoon’s Animal House party band. As his talent grew, he opened for such stars as Eric Clapton. His fourth album, Strong Persuader, won a Grammy award, and the song “Smokin’ Gun” made new fans. Cray also played with Jimmie Vaughn and Buddy Guy. He performed with Stevie Ray Vaughn at the Alpine Valley Music Theatre the night he died in a helicopter crash. A pair of Fender guitars bear his name. The Custom Shop Stratocaster is identical to the guitar Cray plays, while a less expensive model is produced in Mexico. Cray continues to tour. Growing up not far from Hollywood, it was 7-year-old Patrick Lilley’s sister who was star struck. She was on a photo shoot when she was asked if she had a sibling who was interested in auditioning. The rest, as they say, is history. 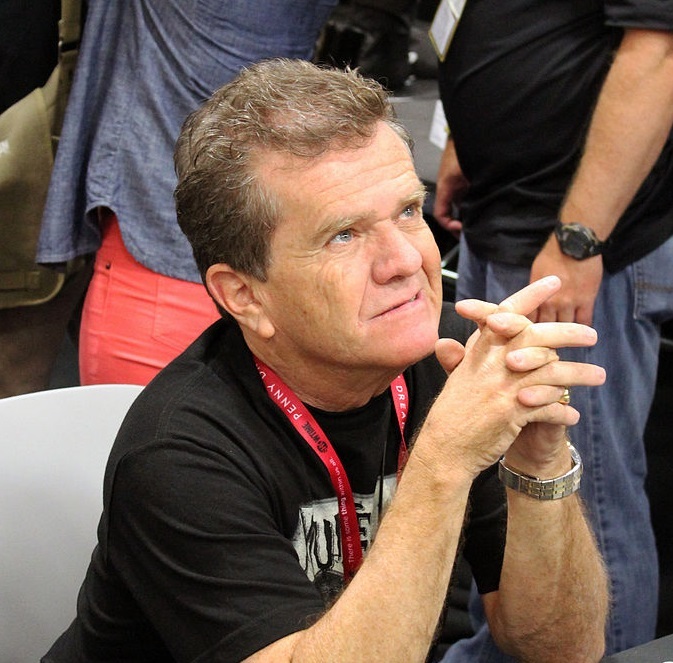 Her brother created a stage name from his nickname and first name, and “Butch Patrick” was born. Instantly successful, he landed a spot in a B movie, then a role in General Hospital followed by a Kellogg’s Corn Flakes commercial. His work in the late 50s and early 60s includes stints on iconic shows of the day: Mister Ed, My Favorite Martian, The Untouchables, The Detectives, Ben Casey, Rawhide, Gunsmoke, Bonanza, The Real McCoys and bunches more. The kid was in movies with the likes of Burt Lancaster, Judy Garland and Mickey Rooney. Then, in 1964, he’s called to CBS Studio Center for a screen test. Out of hundreds of applicants, Patrick lands the part of Edward Wolfgang Munster and that’s how people across America will always think of him. Although the series only ran for a few years, it’s still one of the most popular shows in history. Patrick went on to appear in hundreds more commercials and shows as he grew up, but at the age of 19 he quit the Hollywood scene to surf and drive fast cars. Then, he formed a band, “Eddie and the Monsters” which aired on upstart MTV and became the first unsigned act to appear on the cable station, leading to thousands of other garage bands submitting homemade videos to garner a spot on TV. In 2010, Patrick got engaged to longtime fan and former Philadelphia Eagles cheerleader Donna McCall. But their courtship broke up later in the year and Patrick entered drug rehab only a week afterward. Six months later, clean and sober, Patrick announced he had prostate cancer. Patrick is reportedly well at this time. 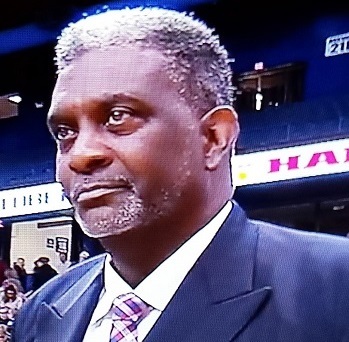 Dunbar is the Director of Player Personnel, coach, and 27-year player for the infamous Harlem Globetrotters basketball team. Born in northwest Louisiana, Dunbar played ball at Webster High School when it was an all-black school. Dunbar went on to play at the University of Houston, the city where he coached basketball before joining the Globetrotters, an exhibition team that injected theatre and comedy into the sport. The Globetrotters formed in 1920s Chicago, an offshoot of an African-American team that played exhibitions ahead of dances at the Savoy Ballroom. They made waves in 1948 when they beat the best white basketball teams in the country, including the Lakers. In 1950, Globetrotter Chuck Cooper made history as the first black player to get drafted into the NBA. With the rise of professional basketball, the Globetrotters carved out a niche as comedians, incorporating juggling, balancing and sophisticated skills into their high-level playing. The Globetrotters have racked up more than 26,000 games in 122 countries over their long existence. Parts of the games today are planned, but the outcome is never certain. Opposing teams let their antics unfold when they are on defense, but once a team gets possession of the ball, serious play ensues. 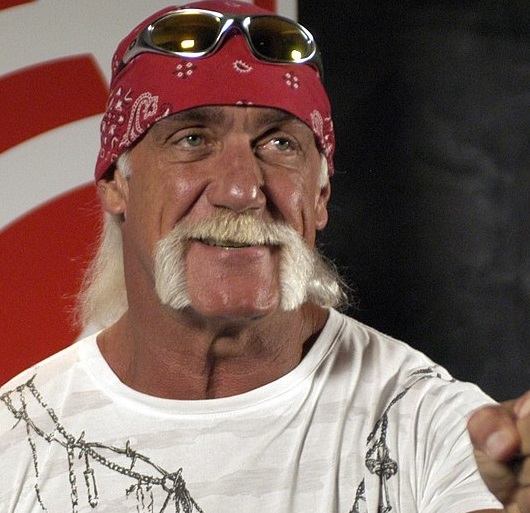 Born Terry Gene Bollea, Hogan made a career as a professional wrestler, television personality and rocker. Hogan’s ability to stay in the limelight, whether as hero or villain, is unsurpassed. He even formed the “New World Order” in 1996 as he hyped a new persona and self-promoted. It can be hard to tell what’s real and what’s not in Hogan’s world. He testified before a Federal court in 1994 that he was an anabolic steroid user for 14 years. Hogan also professes a devout Christian faith. His first marriage ended in divorce after an alleged affair, but he soon married again to the woman who is his current wife. As the most-requested celebrity by terminally-ill children at the Make-A-Wish Foundation, Hogan has fulfilled many dreams. The man has a head for business, with forays into the food industry, acting (notably in Rocky III), a reality show featuring his family (until his divorce) and television hosting. His net worth in 2008 was revealed as north of $30 million, although a few years later the star admitted that his divorce and luxurious lifestyle had pushed him to the edge of bankruptcy. The years of drops, holds and general antics in the ring, to say nothing of steroid use, left their mark. In 2013 Hogan filed a medical malpractice lawsuit for $50 million, claiming a half-dozen operations had left his ailing spine worse than before. Hogan continues to make professional appearances. Born Kathryn Lee Epstein in Paris, the ever-correct and bubbly Gifford is a product of Oral Roberts University. She’s most known for her 15-year stint on Live! With Regis and Kathie Lee, which she co-hosted with Regis Philbin. Nominated for 11 Daytime Emmys, she garnered her first in 2010 as a member of the Today team. The multi-talented Gifford has also written a number of books and recorded several studio albums. What don’t you know about her? She was the live-in secretary and babysitter for actress and Florida orange juice promoter Anita Bryant one summer in the early 70s. Gifford was married to Christian composer/arranger/producer for six years prior to their 1982 divorce. She met sports commentator Frank Gifford during an appearance on ABC’s Good Morning America. 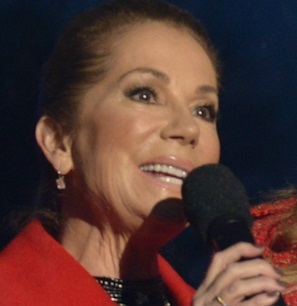 Twenty-three years younger than the former football player, Kathie Lee enjoyed a reportedly happy marriage and the pair had two children. Frank died of natural causes a week before his 85th birthday in 2015. Gifford’s career got a boost early on when she was a vocalist on Name That Tune before appearing as one of the Hee Haw Honeys. (Yes, that was really a show). Among many cameos, she appeared as herself in an episode of Seinfeld (highlight) and on the TV film Sharknado 3: Oh Hell No! (sweep that one under the rug, please). Two autobiographies join a number of children’s books she has authored. Gifford has been active in musical theatre as an actor, writer and producer. She recently wrote the lyrics for a musical adaptation of the Jimmy Stewart classic It’s a Wonderful Life.